Learn how to be the best journalist you can be with what “could be the world’s most readable textbook” (Time Out New York). 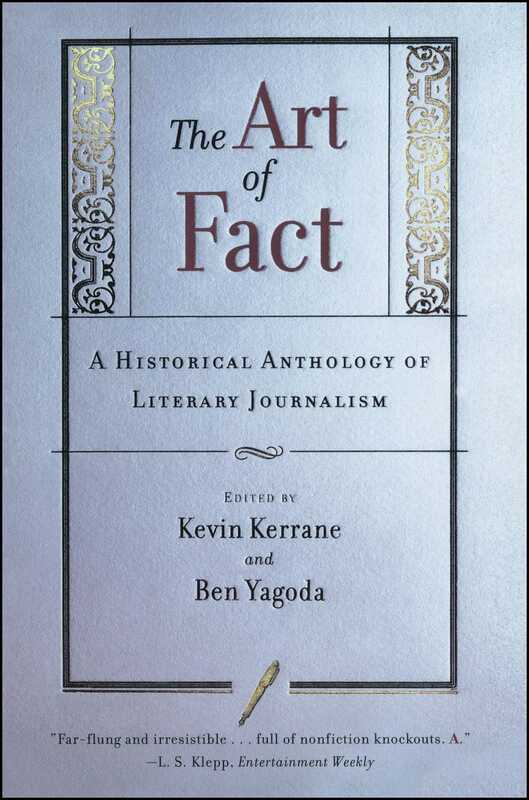 The Art of Fact is a historical treasury tracing literary journalism back to such pioneers as Defoe, Dickens, and Orwell, and to crime writers, investigative social reporters, and war correspondents who stretched the limits of style and even propriety to communicate powerful truth. Here an extraordinary range of styles—the elegance of Gay Talese, the militance of Marvel Cooke, the station-house cynicism of David Simon, the manic intelligence of Richard Ben Cramer—illuminates an extraordinary range of subjects. From large public events (Jimmy Breslin on the funeral of JFK) to small private moments (Gary Smith on the struggles of a Native American basketball player), these readings—sad, funny, and most of all provocative—offer the double pleasure of true stories artfully told.